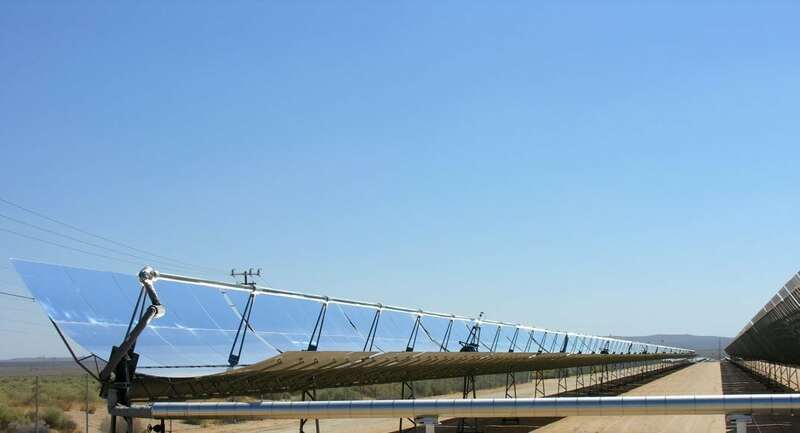 Parabolic trough solar collector (PTC) is the most mature solar concentrating technology for useful heat production, up to 400oC. The PTC is used in a great variety of applications like solar cooling, industrial heat process, chemical process, desalination, and electricity production applications. The critical point for the further establishment of this technology is the enhancement of its thermal efficiency in order to make it a viable investment. The use of turbulators inside the flow (for example internal fins, twisted tape inserts, internally dimpled absorbers, etc) which acts as passive vortexes in order to mix the flow better. The use of nanofluids as working fluids in the collector. The nanofluids are special working fluids which present high thermal conductivity and they are created by dispersing nanoparticles inside the base fluid. The use of the previous techniques leads to higher heat transfer coefficient between the absorber and the fluid, the fact that reduces the absorber temperatures and so the thermal losses are getting lower. Lower thermal losses lead to higher thermal efficiency and so higher useful heat production. The reference case with thermal oil (Syltherm 800) and a smooth absorber tube. An internally finned absorber with thermal oil as working fluid. A smooth absorber tube with nanofluid (Syltherm 800/CuO 6%) as working fluid. An internally finned absorber with nanofluid (Syltherm 800/CuO 6%) as working fluid. Practically, the use of internal fins and nanofluids are examined separately and together. The goal is to determine which technique is the most effective for enhancing the performance of PTC. Figure 1 illustrates the thermal efficiency of the examined cases compared to the reference case. The results are presented for different inlet temperatures from 300 K up to 650 K. It is important to state that these results correspond to operation at volumetric flow rate of 150 L/min, solar direct beam irradiation equal to 1000 W/m2, ambient temperature equal to 300 K, wind speed equal to 1 m/s and zero solar incident angle on the collector aperture. The examined module is the LS-2 PTC which has 39 m2 total apertures and the absorber outer diameter is 70 mm. 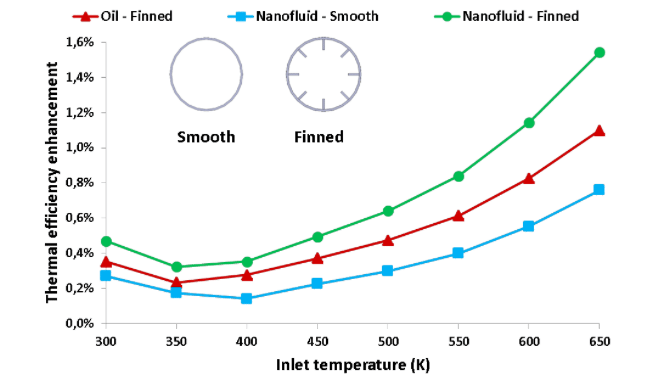 Figure 1 shows that the thermal efficiency enhancement with the finned absorber is higher than the use of nanofluid. However, the combination of both techniques (nanofluid and internal fins) leads to the maximum thermal efficiency enhancement. Moreover, it can be said that the thermal enhancement is generally greater in higher fluid inlet temperatures because in these cases there is higher enhancement margin due to the increased thermal losses of the collector. Finally, it can be said that the maximum thermal efficiency enhancement with the nanofluid is 0.76%, with the internal fins is 1.10% and with their combination is 1.54%. In this end, it has to be said that the use of thermal enhancement techniques is also able to reduce the thermal stresses in the absorber, something beneficial for the greater life of the system. Furthermore, it has to be said that the uses of internal fins and nanofluids increases the pressure drop and consequently the pumping work demand. Especially the pressure drop increase is greater with the fins compared to nanofluid. However, the pumping work demand is too low compared to the useful heat production, the fact that makes the pressure drop increase not to be a limitation for the application of the suggested ideas in PTC. The last point that has to be stated is the problems which are associated with the nanofluid preparation and their stability, as well as the increased cost of the nanofluids. These issues have to be faced before the extended application of nanofluids in real applications. These findings are described in the article entitled Enhancing the performance of parabolic trough collectors using nanofluids and turbulators, recently published in the journal Renewable and Sustainable Energy Reviews. This work was conducted by Evangelos Bellos, Christos Tzivanidis, and Dimitrios Tsimpoukis from the National Technical University of Athens. Evangelos Bellos is a PostDoc researcher at National Technical University of Athens | NTUA · Department of Thermal Engineering. "I have finished my Ph.D. (November 2016) in School of Mechanical Engineering at the National Technical University of Athens. I have also graduated from the same department with the grade of 9.61/10 at 2012. My scientific field covers the following areas: Solar Energy, Refrigeration systems, Nanofluids, Energy in Buildings, ORC"
Christos Tzivanidis is a renewable energy researcher at National Technical University of Athens | NTUA · School of Mechanical Engineering. Dimitrios Tsimpoukis is a researcher in computational fluid dynamics at the National Technical University of Athens | NTUA · Department of Thermal Engineering.